The current state of Java. What is to change, what can we expect, what does the future see? In recent times, Reactive Programming has gained a lot of popularity. It is not a “silver bullet” nor it is a solution for every problem. Yet, it is a paradigm to build applications which are non-blocking, event-driven and asynchronous and require a small number of threads to scale. Spring Framework 5 embraces Reactive Streams and Reactor for its own reactive use, as well as in many of its core APIs. It also adds an ability to code in a declarative way, as opposed to imperatively, resulting in more responsive and resilient applications. On top of that, you are given an amazing toolbox of functions to combine, create and filter any data stream. It becomes easy to support input and output streaming scenarios for microservices, scatter/gather, data ingestion, and so on. This presentation is about support and building blocks for reactive programming, that come with the latest versions of Spring Framework 5 and Spring Boot 2. Our approach in structuring Angular applications in vertical slices, pages and components alongside with its advantages and drawbacks. An overview of some new Post-Agile methodologies and ideas. What do they bring, what do they change, and what questions they answer regarding the progress of Agile. Why is PageSpeed important and should not be ignored by developers. Techniques to boost up your PageSpeed. Get a grasp of what functional programming really is and learn about other programming languages than Java with many examples of common functional programming concepts implemented in Java, Scala and Kotlin. Demystification of an AWS architecture, with all of its fancyness, hidden traps and all the good things that can come out of it. A showcase of our AWS product which serves millions of users every day. Several years since they have been introduced to the world, microservices continue to be the “hot topic” among developers, now more than ever. The benefits which this architectural style brings when developing large and complex application are well known, but so are its pitfalls. As with everything else, using microservices comes with a price in the form of increased complexity of the technical solution. Service communication over the wire introduces latency and is prone to network failures, data scattered among multiple database systems can’t be changed within a single transaction, etc. The adoption of microservices patterns can ease this pain. The presentation explores some of the commonly used microservices patterns related to external API design and data management which allow the data to be recorded into, replicated among and read from multiple microservices in an efficient manner. In a world where everyone is dreaming of building the next Facebook i would try to give an overview of the challenges we face when building highly scalable architectures and a walk-through of the current frameworks, tools and principles that aim to make this journey bearable and exiting. What is Datalake and when do we need it? Why Spark and are there alternatives? Developers perspective. Quick introduction of what Blockchain is, how to create your own coin with Ethereum and how does mining actually work. Talk which covers various subjects of coding, with main accent on anti-patterns observed on quite bad third party code. There will be lots of creative images / thoughts, so amusement is guaranteed. An overview of writing better CSS, with a little humour. This presentation will be separated in 3 chapters (parts). In the first one we have an introduction to the new era of positioning and building layouts with the new features that are included in the modern CSS. Part two will be about all the hidden colour names in the hexadecimal code and how to make a creative colour palette. Number three, last but not least class names are important, so give them a name that nobody will forget that easy. AI and Machine learning are concepts that are older than most people think, but right now they are hot topics in the media and the IT business. Employers and customers are trawling the market for people with mathematical backgrounds. What has happened? What are the facts as opposed to the “Buzz”? Why should we care? We will take a look what actually a GPU is. In the beginning we will have a small introduction on how it has evolved throw years. We will see how it can be utilized in the Java world. There will be a small intro to the world of OpenGL. And then we are going to move to CUDA and OpenCL technologies for general purpose massive computations on regular desktops or cloud machines. We will see what are the advantages and what are the main drawbacks, how can we ease the use from java and utilize GPUs in the clouds. The goal of this presentation is to describe the solutions and problems experienced during the development of an intelligent system, with the purpose of automating a time-consuming process from the financial industry. From a business need to a production-ready application, the lifetime of the project is filled with trending practices and technologies combined with demanding performance and scalability requirements. A quick glance into the current adoption state of the different Java version. What's with the new versioning plan? Changes, improvements and new features? What will the the projects like Amber and Valhalla bring to the language?. What does the future hold for all Java developers, and what will all that mean for the entire eco-system? Reactive Programming paradigm is in a hype lately, and for a reason. Some 10 years ago, typical server installations consisted of 10’s of servers, with response time measured in seconds, maintenance downtime measured in hours and data volumes of GBs. Today, we have clusters with 1000’s of servers, with required sub-second response times and no downtime. Data volumes are exponentially growing to TBs and PBs, received in a form of asynchronous data streams. As Java developers, we’ve been taught to take advantage of the powerful modern hardware by using more threads. But, systems composed on multiple threads, communicating with shared and synchronized state, are blocking, have strong coupling, are hard to compose and use system resources in an inefficient way. Reactive Manifesto is a prescription for building modern, cloud-scale architectures, which should be: message-driven (react to events), elastic (react to load), resilient (react to failures) and responsive (react to users). Reactive Streams is a specification based on Reactive Manifesto. It is a standard for asynchronous stream processing with non-blocking back pressure. Implementations of this specifications are Akka Streams, RxJava, Project Reactor, Vert.x, MongoDB Reactive Streams driver etc. It consists of 4 interfaces: Publisher, Subscriber, Subscription and Processor. Reactive Programming is programming paradigm for developing non-blocking, message-driven applications, that scale on a few threads, with back pressure in order not to overwhelm consumers. At a first glance it might look complicated, but after a close examination, it becomes fairly straightforward. It infuses asynchrony into the core of the system and leads naturally to microservices implementation. 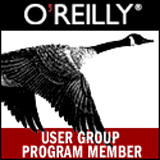 It uses functional programming concepts to manipulate data streams. Failures are first-class citizens, too. The Reactive Streams types are not enough; you'll need higher-order implementations to support operators such as filtering and transformation. Pivotal's Reactor project is a good choice here; it builds on top of the Reactive Streams specs. As useful as project Reactor is, it's only a foundation. Applications need to talk to data source. They need to produce and consume HTTP, Server-Sent Events (SSE) or WebSocket endpoints. They should support authentication and authorization. Spring Framework 5.0 provides these things. It includes a new reactive runtime and component module called Spring WebFlux. An unavoidable impact of Reactive Programming with Spring 5 is shifting towards functional transformations. When non-blocking implementations, such as Spring’s WebClient or Spring Data’s reactive repositories, are used, we have to deal with reactive data types: Mono and Flux. To stay non-blocking, result of the queries can be only accessed through functional transformations. This API is similar to Java 8 Stream but is more extensive and compatible with the reactive patterns. Spring 5 introduces the ability to use reactive programming in our applications – both on the server and client layer - Spring WebFlux. We can use the new WebClient class (instead of RestTemplate) which allows us to make a request to the server, and apply transformations and actions to the response when it eventually comes back, all without blocking any other operations in our code. Spring Data adds support for reactive repositories and reactive templates, for databases like Cassandra, Couchbase, MongoDB and Redis, by utilize their reactive capabilities and drivers. Having this support, you are able to implement applications having end-to-end non-blocking reactive behavior. When it comes to Spring Security, in additional to its standard use, Spring 5 adds a feature to enable it for WebFlux applications. A short Demo showing how to use Mono and Flux producers, to process simple data streams, when a consumer gets subscribed. 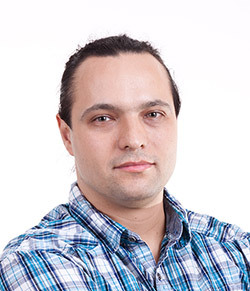 Drazen Nikolic has 17 years of experience developing Java enterprise applications. He has worked in various domains like e-commerce, insurance, digital marketing, social apps etc. Spring Certified Professional. Alongside working on client projects, he regularly prepares and executes various internal technical presentations and workshops. So far talked at Code Camp, Iasi, Romania, StartIT Fest, Belgrade, Serbia conferences, as well as at Seavus Code Talks events. The basic Angular building block is a Component. But many different Components can have different responsibilities, can be shared or unique. In a large application the number of components requires them to be somehow organized and structured. In this presentation we will present our approach in structuring Angular applications in vertical slices, pages and components. We will show the advantages and drawbacks of our approach, and want to engage the audience to share ideas and what works for them. Java Dev and Team Lead. It's been 15 years since the Agile Manifesto was signed and several methodologies were raised ever since. There is almost no developer nowadays that haven't adopted at least one of the Agile principles and uses them in everyday work or even private life. Some has even done improvised versions which work according their needs. The question that's been around these past years is if the Agile is old enough to become past and what's the next big thing, is it a time to call it Post-Agile period and what that means. What has or needs to change in order to abandon the old and become the Post Agile follower. Lots of teams already claim themselves as Post-Agile pioneers and some new ideas of methodologies have been introduced. I'll try to bring an overview of some of them and bring you some thoughts that might help answering the above questions. PageSpeed optimization techniques described via the cause, the problem and the solution(s). The cause described via emerging technologies and easy access to the Internet. Human comfort zones and instant gratification described as the problem. Optimization techniques described as the solution. Tools to test your website. Front-end developer with 1.5 years of experience in the field. Advanced algorithms and optimization expert. Machine learning and AI enthusiast. Pure function, higher-order functions, optional, map, flatMap, lazy and other functional programming constructs are becoming common in everyday programming. With the multi-core architecture on servers and microservice architectures in the cloud, functional programming is becoming even more relevant and most certainly the future of programming in highly concurrent environments. Java 8 was the first version that introduced functional programming concepts in the language, Scala is build to fully support functional programming and what about Kotlin? In this presentation, we will see and learn how we can implement the basic functional programming concepts in Java, Scala and Kotlin and comprare how "functional" they really are. For beginners, but also experienced programmers who are using mostly imperative style the presentation will serve as a introduction to very different programming mindset, and introduce programming language alternatives to Java in the JVM world. Understanding what functional programming is, and what are its basic concepts is essential for any programmer who want to dig deeper in Stream, Optional, CompletableFuture, Observable, Promise, Actors and many other very popular concepts often interrelated with reactive programming or also called functional reactive programming. Being pioneer in a field most of the time gives you a boost when you are showing your portfolio. It is enriched with lots of fancy and buzz words and when you talk with your friends and colleagues you sound as you are talking rocket science and you look smart. And that is a good thing. On the other side you have a lot of hidden traps that you need to overcome when working with new architecture technologies. In this talk I will present the architecture that me and my team created on top of AWS. The architecture currently is serving million of users on daily basis with 90%+ score in every performance test. 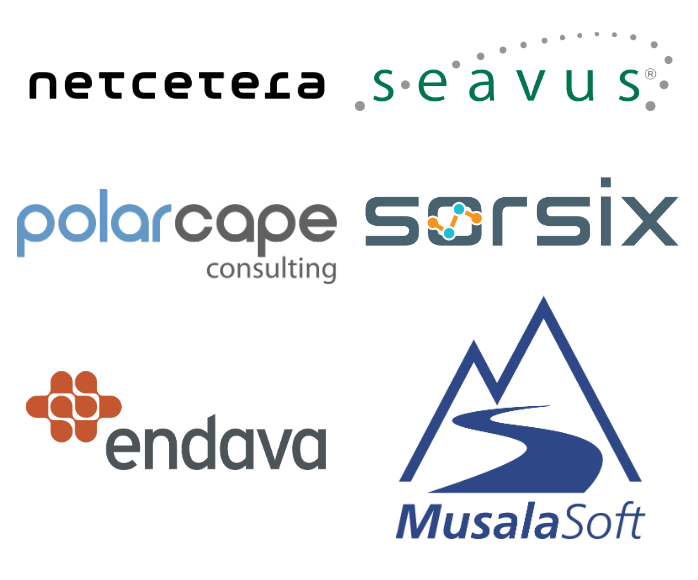 It consists of 15+ services that are provided by AWS. The presentation will focus on all of the good things and the problems that we are facing while using AWS services. The external API category describes two patterns: the “API gateway” and the “Backend for frontend” a.k.a. “BFF”. Their purpose is to minimize the chatty interface a frontend would have with the microservices as their APIs are typically fine grained. Once an API gateway is deployed, it has the responsibility to fetch and join data from multiple microservices acting as an “API composer”. An alternative data management pattern that is more efficient is the well known Command Query Responsibility Segregation (CQRS) patterns that introduces a so called query model, one which is optimized for querying and displaying data on the frontend. A microservices demo application is used to showcase the problems and the solutions based on the adoption of the aforementioned microservices patterns. 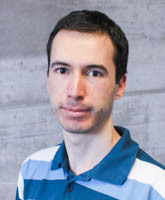 Nikola Zivkov is a Technology Line Manager for Java at Seavus. With more than 14 years of experience in building Java enterprise solutions, he’s passionate about building resilient architectures that withstand the test of time (and crazy client demands). He’s been a member of the Macedonian JUG since the group’s second meeting. How processing of big data can be performed with Apache Spark? Common challenges and approaches in processing of big data. 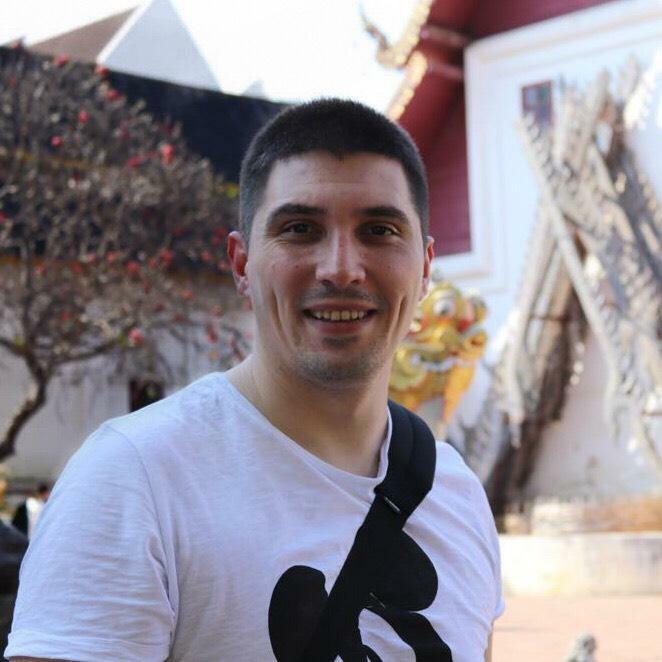 Aleksandar Donevski is experienced senior software engineer with an established academic and professional background, currently working in Musala Soft company. He received a B.S. degree in Computer Science from the Faculty of Computer Science and Engineering (FCSE), and his experience in Java and C# has exposed him to various cloud-based environments, making him very interested and active in working with Cloud environments and tools. Bitcoin and Ethereum are two mainstream cryptocurrencies looking to leverage blockchain technologies to drive innovation across numerous industries. This means that blockchain evolution is happening. Why this happens and what does it mean to us? The talk will give short overview of what Blockchain is, why is it so popular, and how Bitcoin and Ethereum fit in this technology. Then it will outline the problems that you could have using cryptocurrencies and how to solve some of them, also I will try to explain how to create a coin and use it in your own application. The talk will start with the reasons and my motivation for doing it. The first part will address various aspects of coding and everything around it, serving as a preparation for the main topic. The idea for presenting the anti-patterns shall resemble the sin counter from videos describing movie errors, followed by lots of memes and developer suitable content. 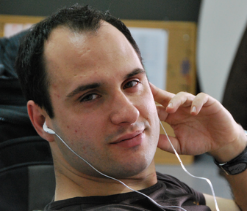 Blagoj is working as a Software Engineer at Swiss software company Netcetera. His first work experience included Spring based applications, and after that he got involved in media asset management, specifically video transcoding. 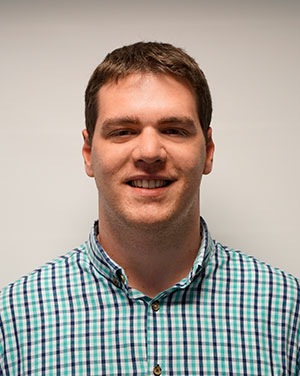 Recently he is developing applications in the 3-D Secure Payment area, where his main focus is frontend development using latest Angular framework." Topic: So, you say CSS is not fun at all? Short introduction to new ways of positioning, flexbox and CSS grid, what is the difference and what are the new features and the cool stuff we can do with them. How to use them together and what we can NOT make with them, for now ;). Hidden meaning of the hexadecimal code. Give a glimpse of all those color with a funny hexadecimal combination and how we can actually combine them. A good color pallet is the key to every good website. Give the right name to the CSS class, it is important for the people in your project and those who will work on that project in the future. How a fun, creative and meaningful name class can help you structure your CSS better and faster, and this is where things can get very creative. Introduction to Unicode classes, yes, it is possible. Topic: AI and Machine Learning – why should we care? This is a short introduction to Artificial Intelligence, Machine Learning and Data Mining. We will try to define the concepts, describe what can be done with them, and what they can’t do. We will also discuss how recent developments have generated new opportunities for applying AI and ML in practical applications (e.g. voice recognition, self-driving cars, “Big Data” analysis systems, etc.) causing the current interest in this area. The final part is a look at what we as IT professionals need to know to satisfy the demands of the employers and customers who want to start using AI and ML. The presentation is on a general level and should be accessible without any specific programming or mathematical background. Jörgen Blomberg is a senior consultant at Polar Cape Consulting in Sweden, working primarily with enterprise architecture and service management. 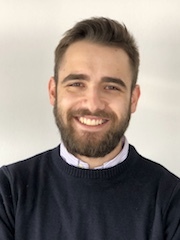 He has studied Artificial Intelligence and neurophysiology at the Royal Institute of Technology in Stockholm, and has been involved in several projects using AI and machine learning for financial and behavioral analysis. Topic: Java on the GPU. Where are we now? It all came up from several tasks that should have been done for some startups. At some points some near to real time huge matrix multiplications should have to be done for some financial calculations. First it all started with some ordinary approaches with parallel processing on the CPU. Then we realized that we have a very powerful resource available but not utilized – The GPU. After some investigation we came to a working solution on how to run our computations on heterogeneous environments – both CPU and GPU. In this session we will make an introduction on what a GPU is, how did it evolve through years, and what is available to us developers now. We will see what are the shaders. We will explore how access this massive computational power through Java and make it available even for the Enterprise projects. We will explore how to bind java to OpenCL and CUDA. We will see what frameworks can we use to seamlessly write java code that will be executed on GPU devices. Currently the GPU resources are available not just for gaming PCs but even on laptops or cloud machines. Although in a hard way they still can be used to unlock massive optimizations. 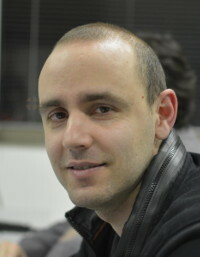 Dmitry is a principal expert developer living in Sofia, Bulgaria. He has more than a decade experience mainly in Java Enterprise in banking/telecom, but interested in dynamic languages on JVM and features like massive computations on GPUs. 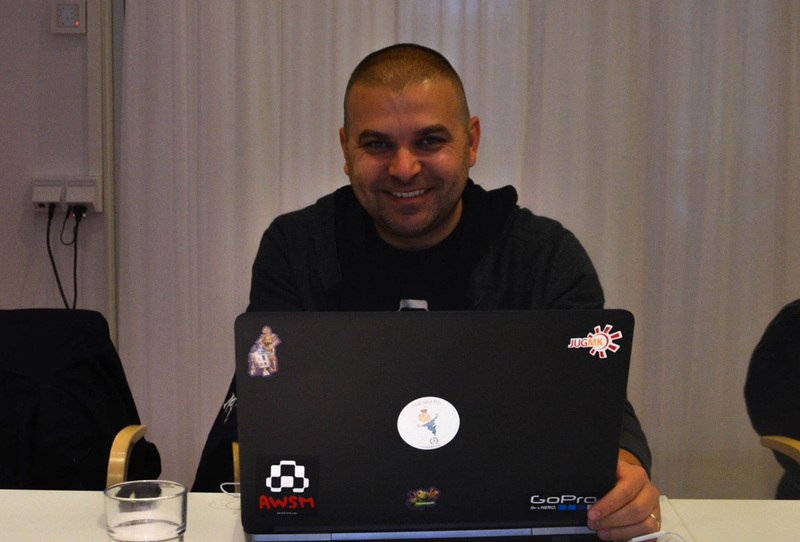 He is a true believer in open source and community driven initiatives. 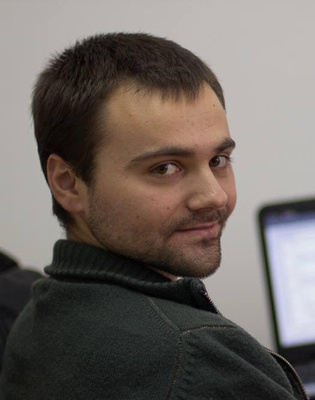 He is a co-lead of the Bulgarian Java User Group and co-organizer of jPrime Conf. 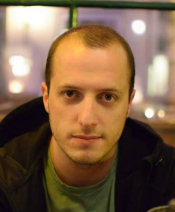 Dmitry is a blogger and also a frequent conference speaker at local events as well as conferences like JavaOne, Devoxx/Voxxed and Joker. In the financial business there are several paper-based processes that require a thorough analysis resulting in increased costs and time-consuming activities. This presentation aims to describe the approaches and challenges experienced during the development of an intelligent system, meant to automate the covenant extraction process for documents with an increased level of confidentiality. A walkthrough of all the components present in the final solution, together with their evolution and limitations, will offer insights about modern practices and technologies like Machine Learning or Natural Language Processing, without disregarding the performance, deployment and scalability aspects in the roadmap from experiment to a production-ready project. All the problem-solving processes and the logic behind the major technical decisions will be carefully described in order to present the project from a developer’s perspective. Passionate senior software engineer with Java background, experimenting with trending practices and technologies in the field of artificial intelligence. As a developer in the team building the presented project, has been directly involved in the problem-solving and decision-taking processes during the lifetime of the project.